Naperville Area Fall Activities - All Storm Solutions Inc. The Naperville area lies in the perfect in-between of the urban city and the quiet country – real farms and real pumpkin patches are right down the road from us. With us now in October it is time to squeeze in all of the fall fun possible before our all too familiar winter hits. We have listed some fantastic Naperville area Fall activities for your families to enjoy. 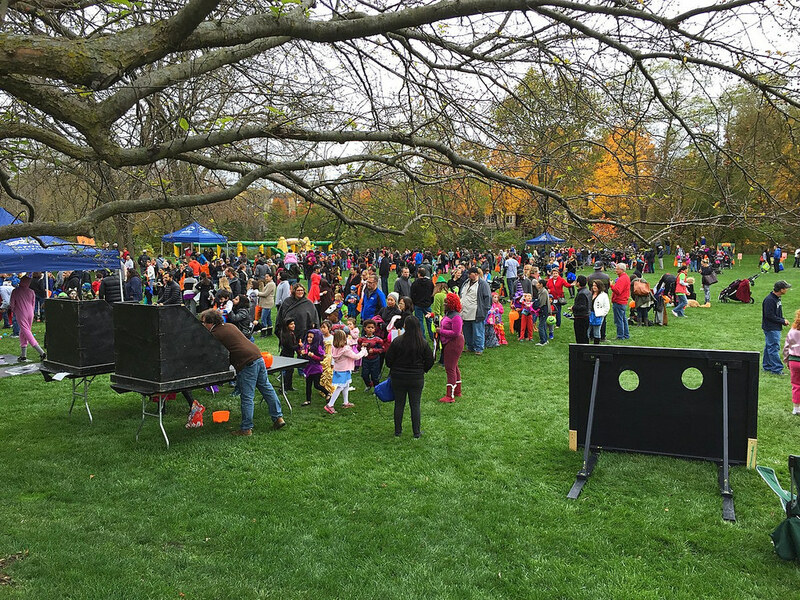 A local get together put together by the Naperville Park District, this is the perfect stop for families to add to their Naperville area fall activities. From 1:00 – 4:00 PM on Sunday the 28th you can bring kids 10 and under to the Riverwalk Grand Pavilion for a ton of activities, games, and much more all for FREE. This is a great chance for your kids to get in some extra trick or treating or get an extra day in to wear a costume! One of three locations, the Keller’s Farm Stand located in Oswego is a great destination to add to your Naperville area Fall activities that any age can enjoy. From apple/pumpkin picking to a 10 acre corn maze and even some specialty limited time fall treats, Keller’s has everything you need for a perfect, local Fall afternoon. They also have locations in Naperville and Plainfield that carry farm-stand items such as apples, pumpkins, gourds, corn, apple cider, pumpkin butter and much more! If you want a a more adult experience but still staying family friendly Jonamac’s is a no-brainer. They have expanded over the years to include some great amenities and activities. This year marks the first year their new Cider House is open – offering in house wines and ciders made from their own freshly picked apples. Besides the normal orchard/patch activities such as a corn maze and petting zoo are all here, but more exciting things lay deeper into the Orchard – such as their Apple Cannon. You can even spend a little more in their new Campsite area equipped with a fire pit and proper seating for 25 people. A perfect stop for any romantic Naperville area Fall activities. Now our last recommendation is not a kid-friendly one, unless you have a lion-hearted child this one is adults only. This house of horrors has been voted one of the top haunted houses in the state in 2014 and 2015 by the Chicago Tribune and one of the top 10 by USA Today! Massacare is a 100% indoor haunted house with a heated waiting area, so no getting cold feet before your turn! It is $25/person and takes roughly 30-40 minutes to navigate to the end, you can even buy your ticket on line and pickup at Will Call to skip the line. If this is your fancy the same people that run the Massacre Haunted House also operates Mind Trap Escape Rooms for year round spooky fun. So that is our simple list of Naperville area Fall activities to enjoy with and without kids. What are you doing with your kids this autumn? Or are you planning an outing with a group of friends? Let us know in the comments below what you plan on doing this Fall and what your favorite Fall activity is. Be sure to follow us on Facebook (IL – CO) for the latest All Storms news!